Lifts, stairlifts and lifting platforms cannot be used in case of fire or earthquake. 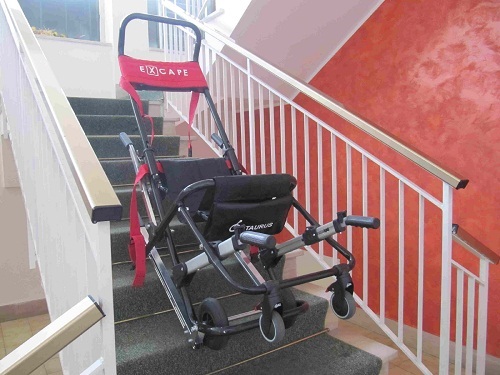 This simple machinery solves the problem of evacuating injured, disabled and elderly people. An absolutely essential security tool. The solution to your problems at a reasonable price. 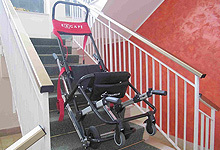 – Model X30, with adjustable headrest, to carry a person downhill over staircases. – Model X50, with adjustable headrest on a telescopic backrest, to carry a person downhill over staircases. – Model X70, with adjustable headrest on a telescopic backrest, to carry a person both downhill and uphill over staircases.